So, we have a crayfish. She's beautiful and bright orange and full of personality. I only have one problem. I can't find an online resource that is even half as good as the HCA forums! You guys rock and I know we're all lovers of the unusual here. 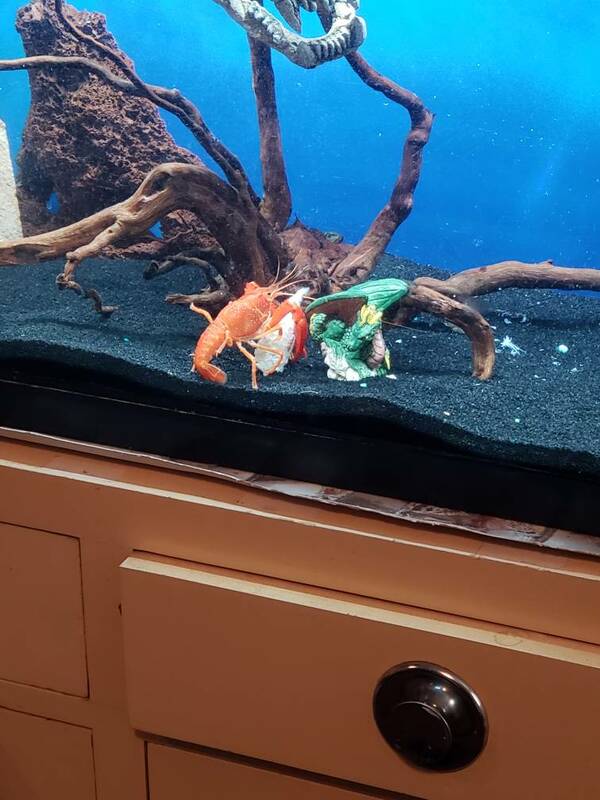 So, anyone know of a good online community for crayfish keepers? 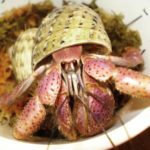 Fishlore has a fairly decent amount of crayfish keepers, and a subforum for just crayfish. It is a large forum with a lot of active newbies, so just keep that in mind while reading advice and responses. fishlore's a good start. petshrimp.com and skfaquatics.com also have crayfish subforums, perhaps with a higher density of experienced keepers than fishlore. Hey, what type/size of tank do you keep him/her in? I've always admired those crustaceans and their colors. LandFishh wrote: Hey, what type/size of tank do you keep him/her in? I've always admired those crustaceans and their colors. She's in a 20 gal. It has a nice home built external filter and we redecorate it regularly to keep things interesting for her. Bored crayfish are unhappy crayfish. Right now she lives with a snail, a algae eater and a feeder goldfish. So pretty! I didn’t even know keeping crayfish as pets was a ‘thing’ til I landed on here! But I think they’re beautiful, and I love learning more about them and seeing the pics. Thanks! Wow! What great colors. Thats also such a large space! I'm assuming she's pretty high maintenance considering how often you change the decorations. How often does she molt? I know that crayfish tend to change color more than most crustaceans. They molt according to growth so it depends. She eats well so she has molted a few times over the last few months. She's pretty much full size now so we're only expecting one more anytime soon. Tank size recommendations seem to be all over the place on the internet. They're definitely territorial, not the social butterflies that our hermies are. But they do like stimulation and hiding spots so I wouldn't want to go smaller than the 20 for her even if I believed the smaller recommendations. Wow! So pretty! I've only seen blue ones down here.